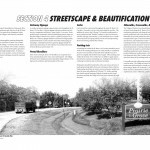 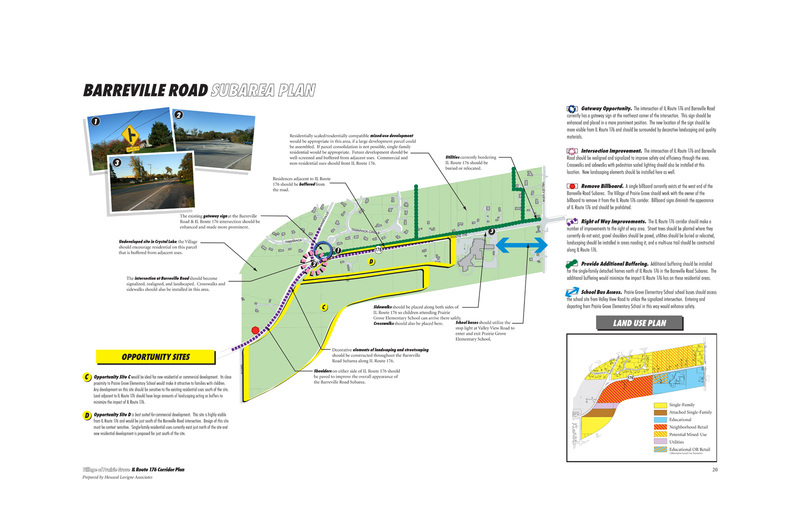 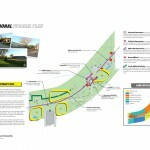 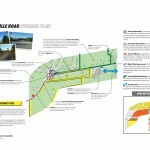 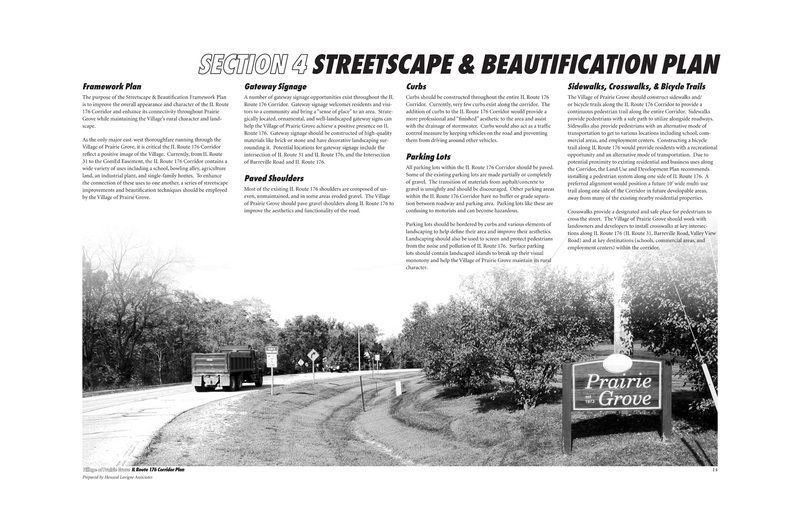 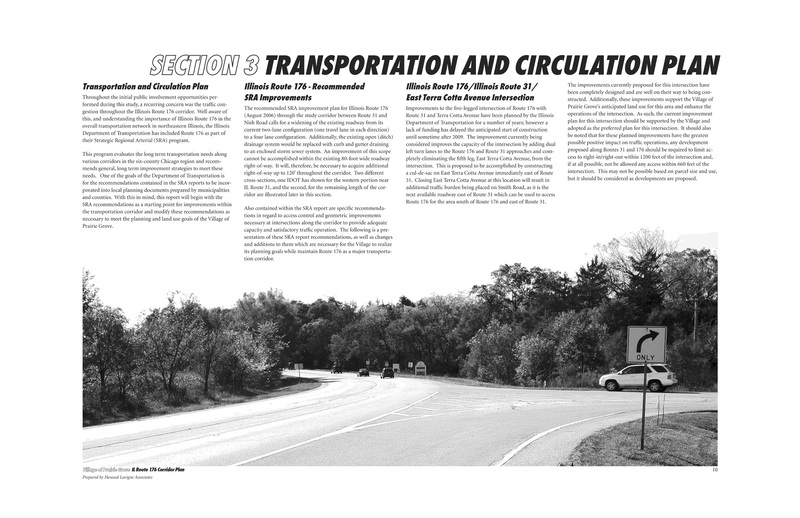 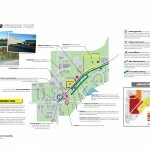 In an effort to plan for future land uses and the eventual widening of IL Route 176 from two lanes to four lanes, the Village of Prairie Grove undertook a Corridor Plan. 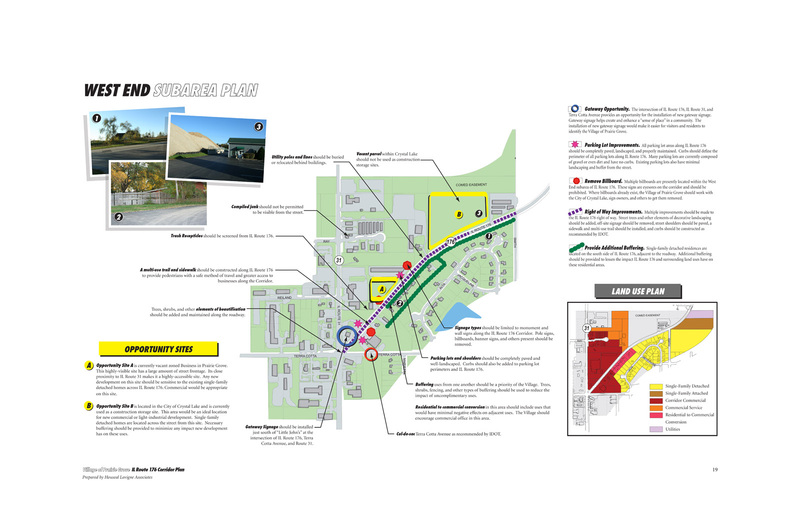 As the major east-west arterial through the Village, IL Route 176 offers the greatest potential for future retail, office, and commercial development. 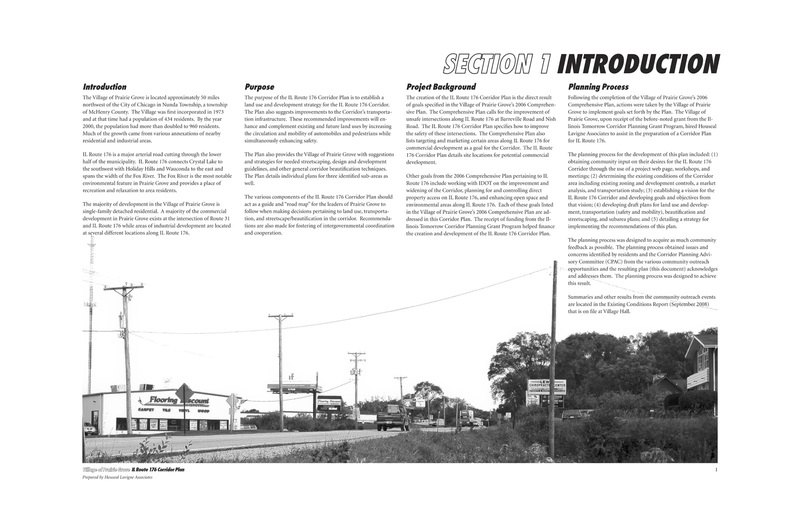 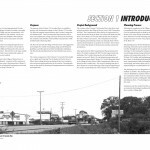 The purpose of the IL Route 176 Corridor Plan is to establish a land use and development strategy, and present improvements to the Corridor's transportation infrastructure. 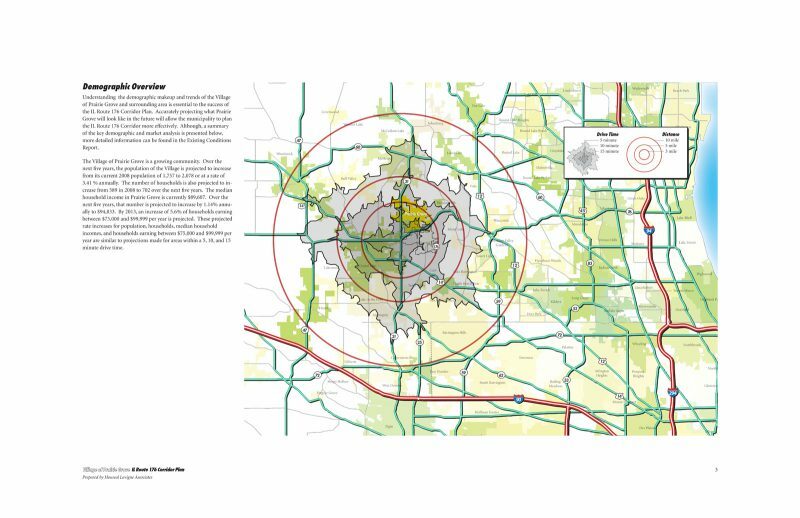 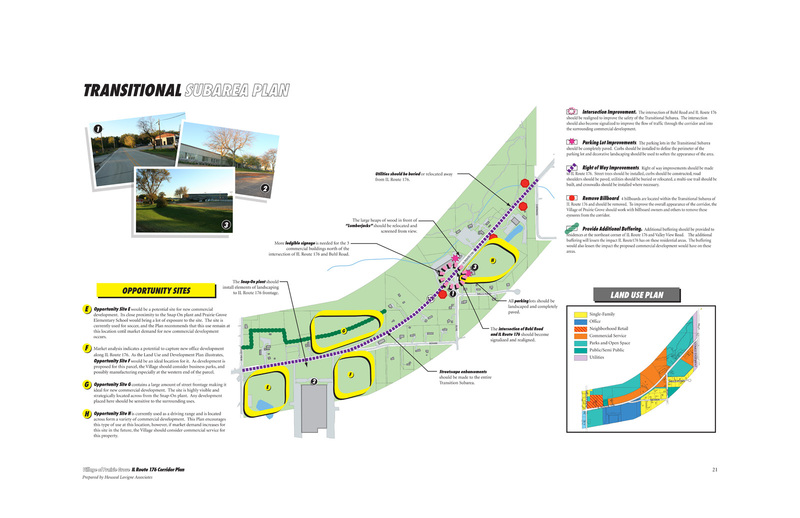 In addition to the corridor-wide recommendations, more detailed subarea plans are included which provide more specific strategies for each property within the Corridor.